Hibiscus coccineus, Swamp Hibiscus, Texas Star. Native perennial hibiscus found in the Southeastern US. 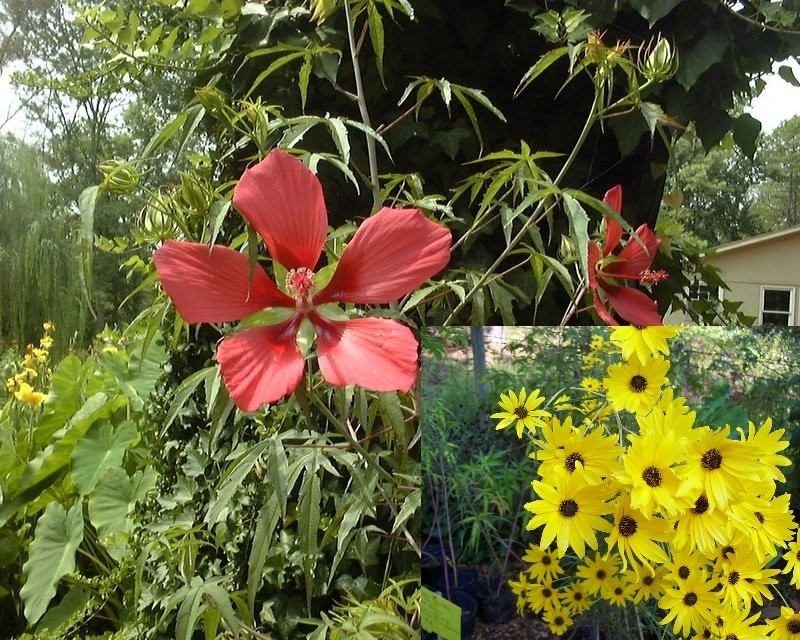 Red star-shaped blooms on tall stems up to 6 ft. tall. Palmate leaves resemble Japanese Maple foliage and have a reddish tinge. Prefers full sun and moist soil. Companion idea: Helianthus Gold Lace, also known as Swamp Sunflower.